I went around from one Minecraft community to another, and guess what I have discovered? Everyone is looking for Seeds! (No, not the one that chicken’s love). From PlayStation, Xbox, PC, and Pocket Edition, everyone seems to be looking for them. Hence, I present you Our Top 10 Minecaft Pocket Seeds! These seeds are for Minecraft Pocket Edition version 0.81 alpha. 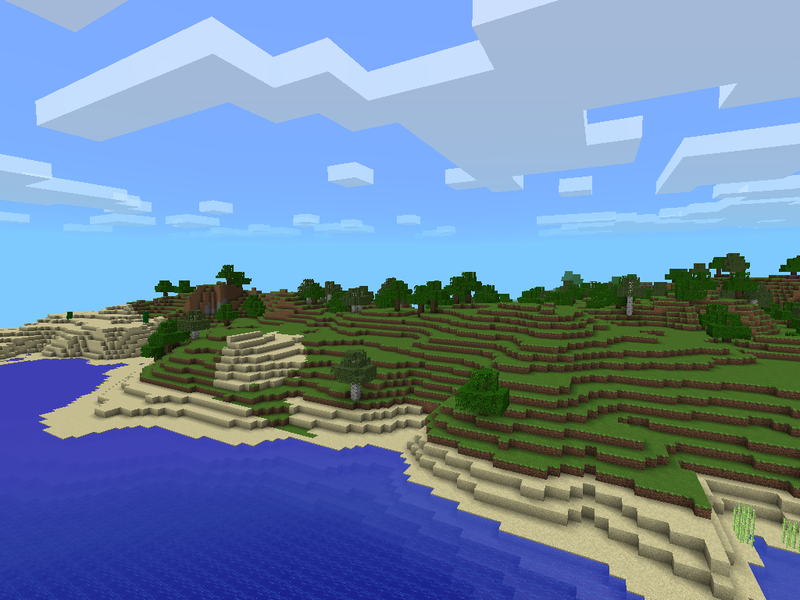 This is a good Minecraft Pocket Edition seed that features a world with lots of building potential. This seed is generally made with flat-top hills with evenly distributed snow and sand biomes on the corners of the world separated by a mass of water. Because of its flat surfaces, looking for a place to build your quiet little house is easy on this seed. 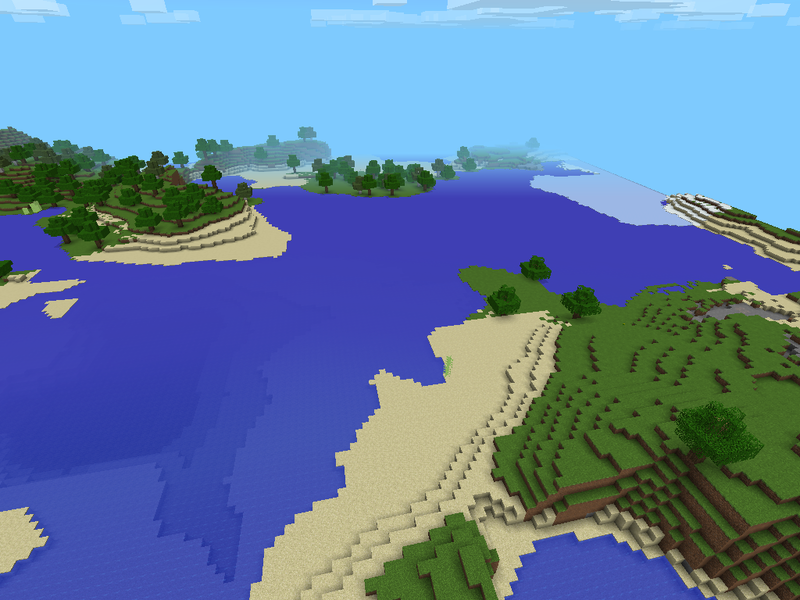 Now this is an interesting seed that features a wide body of water that is good for sea battles. Land masses are evenly distributed and contain stone patches with exposed ores. Digging on some of these patches will yield a vein of gold ore. A perfect map for pirate treasure hunting! Adventure Time is a great coastal seed with the water found on only one side of the world. On the other end features wide mountains that are nicely placed to become the world’s borders. Patches of ice and sand can be seen near the coast with a terrain ideal for building cities with ports and ships. 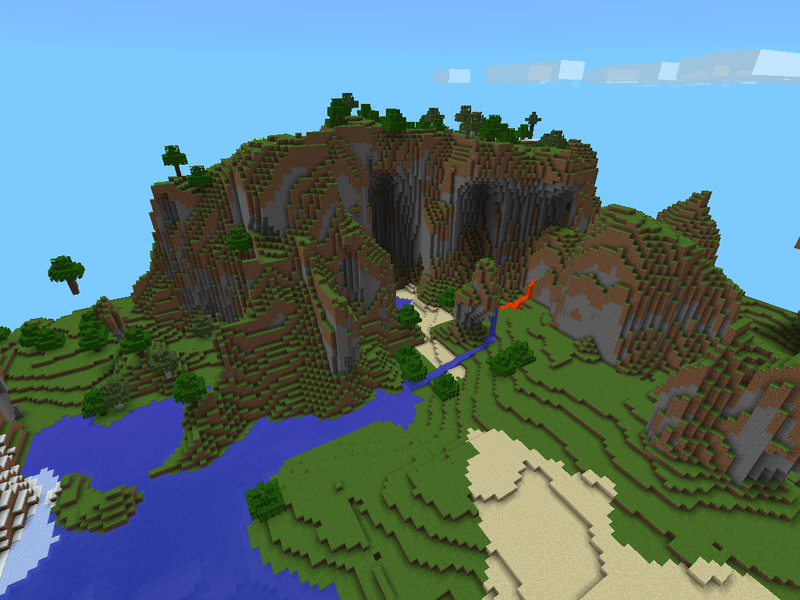 Regardless of how crazy the name of the seed is, this seed features epic looking mountains with four grand waterfalls. It also features one lava fall beside one of the falls making it look awesome. The seed also features a number of exposed caves in addition to a scenic snow mountain. Overall, the seed is mountainous with only a few places suitable for building. Outcrop is a simple yet amazing seed with so much building potential. 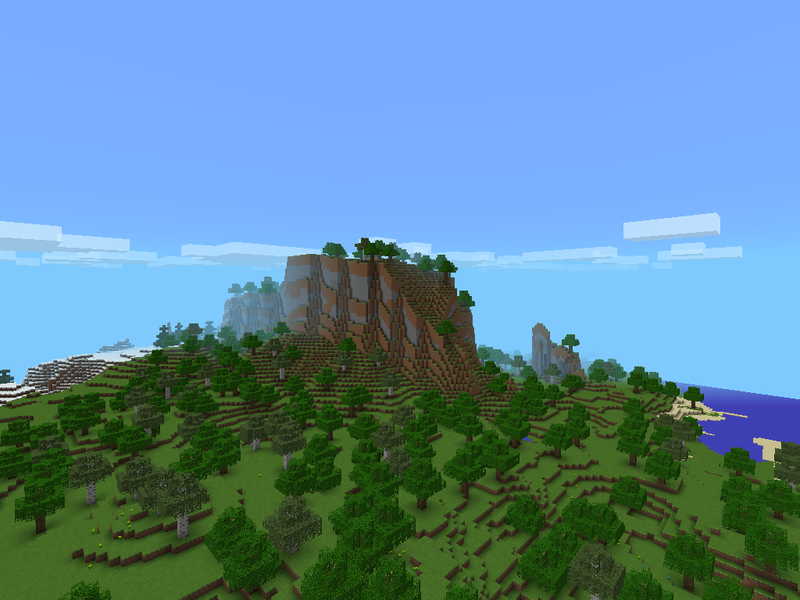 The seed features 1 huge mountain in the middle of the world with 1 small ice hill behind it. The rest of the world is flat and has widely separated trees perfect for building cities. 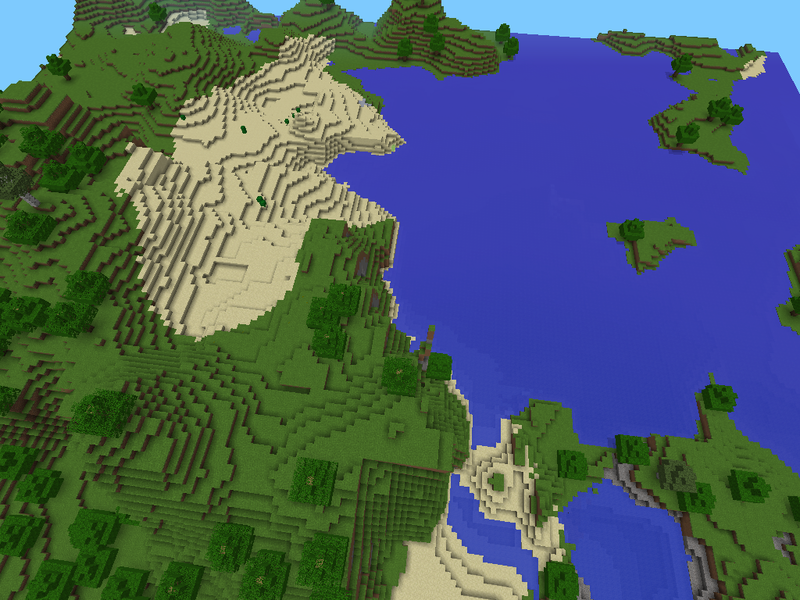 Water is also on the map edges along with a few caves and mining spots. Overall, Outcrop is a generally good map for survival and creative modes. As the name of the seed shows, this seed features scenic hills, epic mountains, and floating lands which in itself are rare. The seed also includes some caves and large canopies and does not lack in places with good building potential. If you want to be creative and build something epic, consider using this wonderful seed. This is a weird seed name that I found in one community, once entered, it will only display the seed “4”. But seed “4” is totally different from this one. 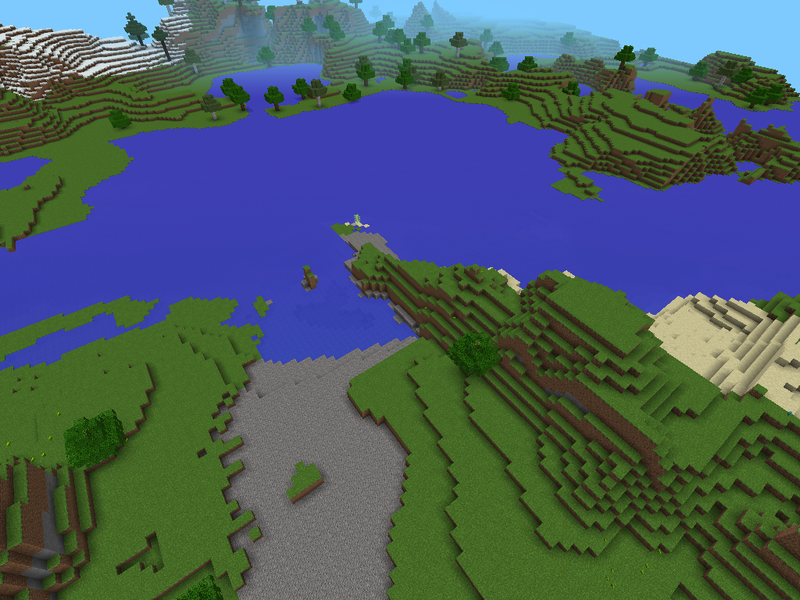 Now this is one amazing seed with a fair distribution of water and land masses. (Almost 50:50). The land area features some decent mountains with a few caves, while the water contains some small islands. Overall, I find this seed great for multiplayer servers that likes to build villages and play some mini games. Seed “4” is weird seed with almost 80+% of water. 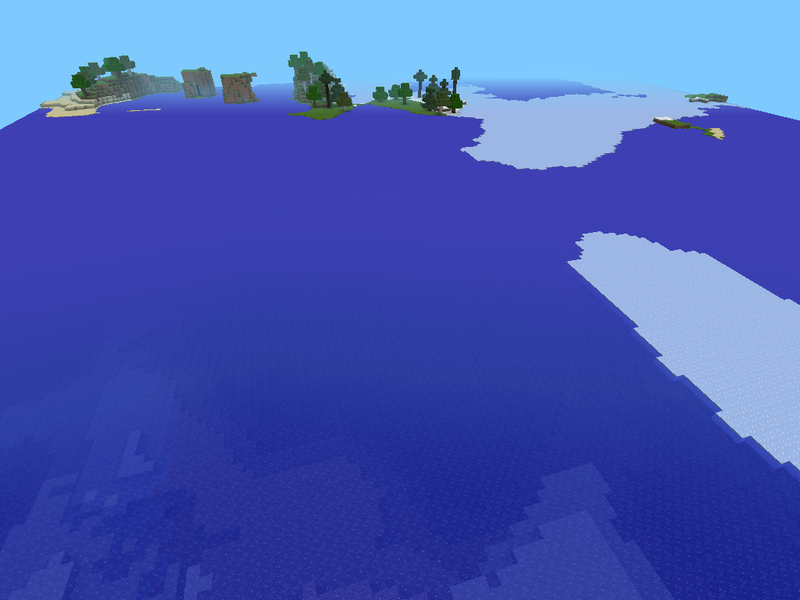 This seed is great for naval battle as almost the entire map is filled with water with some parts covered in ice. The land masses are composed of small islands and islands with high altitude making it ideal for sea ports and fortresses. Tall trees and concave ice block pattern add great detail to this water-filled world. As suggested by many, the world seed “Nyan” is perhaps one of the greatest Minecraft pocket seeds ever existed. 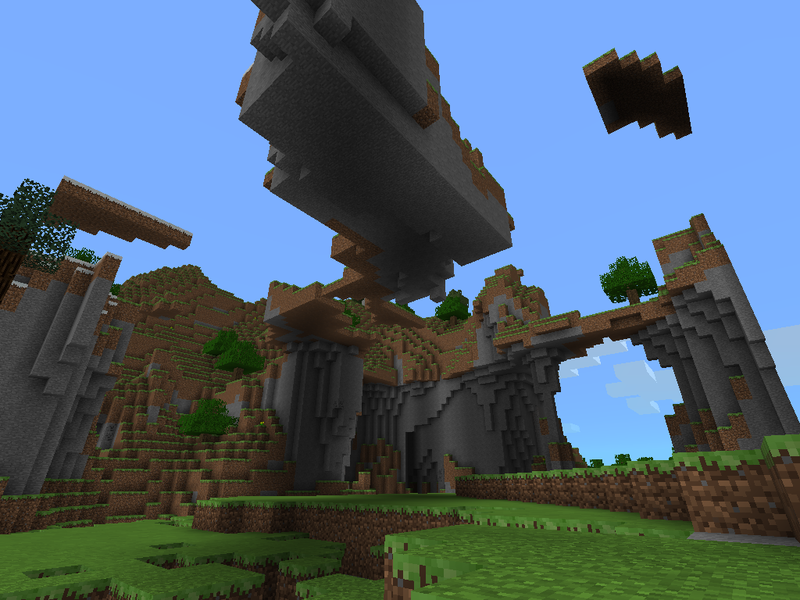 This awesome seed features epic mountains, huge caves, tall and dark canopies as its terrain. 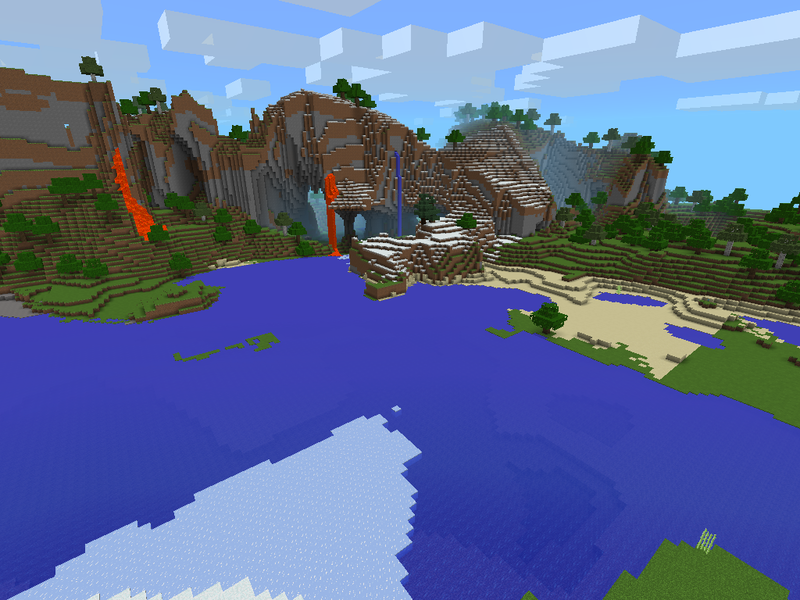 Not only that, this seed also contains many lava falls and water falls that make it glorious. Building-wise, the world also features some wide and even terrain suitable for building over-looking some of the scenic mountains. Across the water also lies a landmass filed with snow and ice. If you’re into Minecraft Pocket, be sure to check this seed out. This seed features two main lands separated by a wide river. Both land masses contains some nice crescent shore ideal for coastal villages and ports. 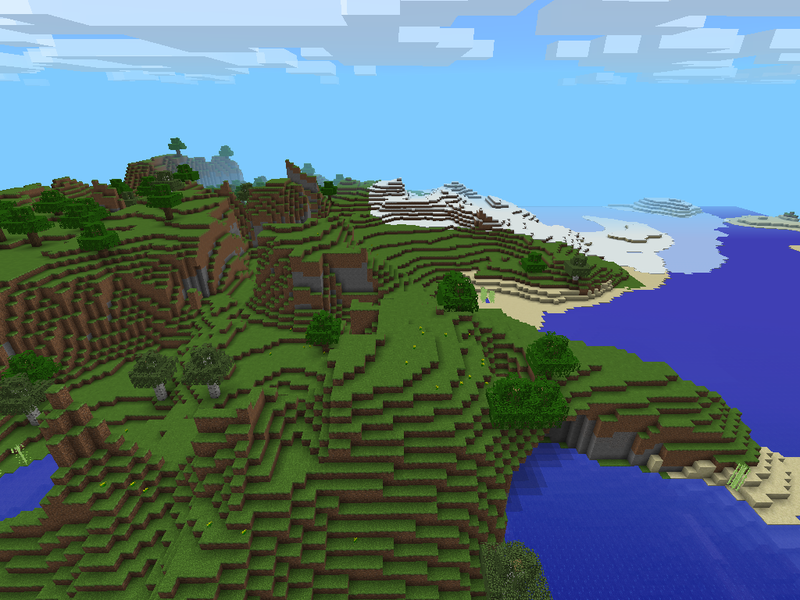 The seed also contains some nice mountains, stone patches, and some small islands. A seed I recommend for multiplayer use. Can’t wait to try it? Go ahead and grab your device to try these seeds! Play with your friends from halfway around the globe by hosting your server with us. EnviousHost not only offers Minecraft and StarMade servers for PC, it also offers lag-free and hassle-free hosting services for Minecraft Pocket Edition. 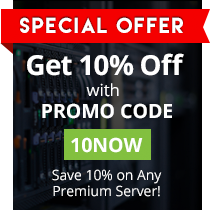 Become the envy of your friends and grab your very own server today.